Real Estate For Sale in Southwest Missouri How to price your home in this MARKET! How to price your home in this MARKET! 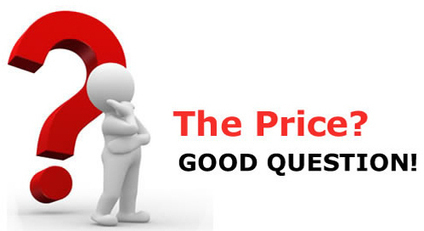 How to price your home….let’s make this very clear! It is no secret the Real Estate market is on FIRE! Homes priced right are flying off the market faster than we can get a sign in the yard. So how exactly do you price your home to make this happen??? Don’t close this screen…I’ll tell you…FOR FREE. First things first, erase your memory, get rid of any idea you think you know about Real Estate and listen up. What you paid for your home is not what it’s worth. This could be a good or bad thing. If you bought your home in a bad market and underpaid its most likely worth more now but if you bought it in a good market and over paid cause you loved it, well you may not be able to sell it for that. Yes this is a sellers’ market but the number one rule is, your home is only worth what a buyer is will to buy it for and what an appraiser is willing to appraise it at. Okay Relax I’m not done, appreciation rates are up, chances are the home is worth more. There is a big difference between things that improve the value of your home and things that help sale it. For example: Updating the kitchen with new counters and floors will increase the value. Cleaning the house and painting the walls only helps sale the house but adds no value. Rule of thumb ask an agent before you spend the money. Making your home more attractive will sale it faster and get more buyers through the door but it will not increase the value. Make sure you do not update your home far above the neighborhood value. That takes me to my next point, almost done, the home needs to be comped by a professional. Call a Real Estate agent and have them run a comparative market analysis, it should be FREE. What’s that you ask?? The agent will compare your home to proven sales in the area that are like yours. They will take the age, size, location and updates to your home and compare them to those around you that have sold. They will then provide you with a high and low number, its best to price it right between those two. If an agent says they want to price your home at a price they can’t prove…well get a new agent. The best thing to do is reach out to a professional. Call an SWMR agent today!